Unfortunately our society tends to dismiss play for adults, and perceives it as unproductive, petty, or as a “guilty pleasure”. We’ve formed the belief that in order for something to be meaningful or legitimate, we have to work hard at it. Yet recent studies are showing us that play and rest are essential; it’s just as important as getting enough sleep, eating well, and exercise. Play helps us to relieve stress, manage emotions, connect deeper with ourselves, and create stronger and more meaningful bonds with others. The truth is, we can simultaneously be productive, be helpful, be of service, finish our tasks, AND be light, playful beings. Because play has more to do with your willingness to be uninhibited, to be imaginative, to be joyful. Play is about allowing yourself to express your spirit without restraint. Play is about allowing yourself to be YOU. Play is more than just being child-like, it’s a transformative, vulnerable state to be in. It’s surrender of the ego. It’s choosing curiosity and aliveness. It’s letting go of outcomes or expectations, and being fully present to the here and now. It’s responding to what’s happening with curiosity, instead of reacting – and there’s where real transformation can happen. And when you pair play with expressing yourself in an art journal, it becomes a vehicle for powerful healing! Art journaling is a beautiful (and fun!) way to free your Soul, and to facilitate your self growth; allowing you to explore and express your inner self. It shouldn’t be put on your “guilty pleasures” list – with it directly linked to our mental health, it should be top priority! It doesn’t have to be as hard and stressful as we sometimes make it out to be either. We put a lot of pressure on ourselves to do it “right”, and to search for meaning. But change, transformation, and self expression can happen with ease and play! As long as you allow yourself to play and follow your intuition, the transformation you seek will naturally happen. 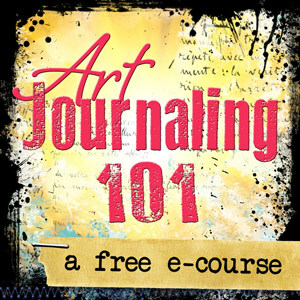 So stop stressing yourself out about art journaling. You can’t do it wrong! You are here to dance a splendid dance in this lifetime and to feel the fullness of who you are! 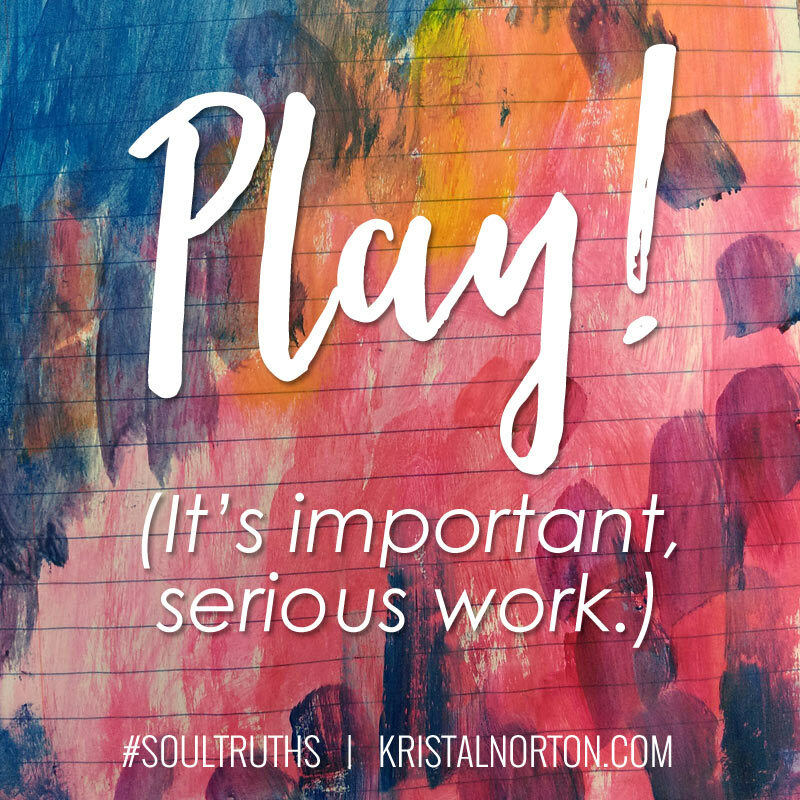 Allow play to be the easeful, fun way in which you align yourself and your life with who you truly are! TIP: Start by practicing showing up to your art journal and committing to just one minute of play with paints or crayons. And if possible, create with young children – kids are masters at play and creativity, let them lead the way!